North Korea has been planting anti-personnel mines alongside the inter-Korean border for the past couple of months to prevent North Korean soldiers from fleeing to South Korea, a South Korean official said Sunday. "Under the order of leader Kim Jong-un, the military has gone all-out to prevent soldiers from going AWOL across the North Korea-China border," the official said, adding the deployment of land mines near the inter-Korean border seems to serve a similar purpose. Last October, the two Koreas exchanged fire after troops from the communist country drew near the border. No one was hurt. 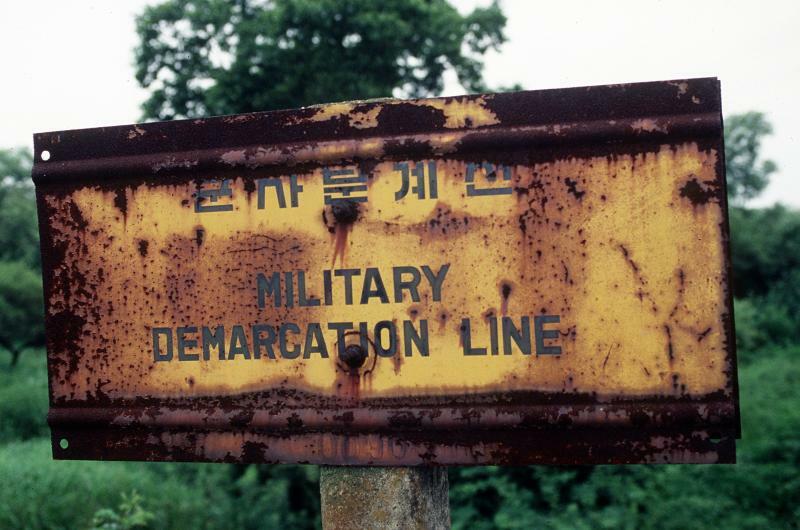 A month later, a North Korean patrol approached the land border again, prompting warning shots from South Korean troops. The two Koreas have remained technically at war since the 1950-53 Korean War, which ended with an armistice, not a peace treaty. North Korean troops seem to have collected some military information near the western, middle and eastern fronts of the Military Demarcation Line for the past two months, the official told Yonhap News Agency on condition of anonymity, adding that South Korea has beefed up its defense against a possible southward intrusion. North Korean soldiers, mostly in groups of up to 20, are also checking signposts marking the MDL and re-erecting any that have collapsed. There are nearly 1,300 such signs lining the border, spaced out between 200-300 meters from one another. Despite these precautions taken by the North Korean regime along the border, a North Korean soldier defected to South Korea through the inter-Korean border Monday, an official from the Ministry of National Defense said. "A North Korean man presumed to be a serviceperson defected to our side earlier this morning," a ministry official said, requesting anonymity. "He crossed the border in Hwacheon, Gangwon Province, on foot, and expressed his will to defect," he added, noting that he has been under investigation by relevant authorities. Other details including the identity of the man and his motive are yet to be known.